I have been offered a great give away for my readers and followers by NOLA Couture. The give away is valued at $359.00. Yes! That is correct! $359.00! 2 men’s ties of your choice (one for dad; one for son). 1 bowtie of your choice. 1 Men’s belt with ribbon of your choice. 1 Child’s belt with ribbon of your choice. 1 Clutch with wristlet of your choice. 1 cap/visor of your choice. 1 dog collar of your choice for your precious pooch. What do you think of this give away? This is the most valuable give away ever offered at Uptown Acorn. I for one would love to win something so preppy & Southern. Take a look at the NOLA COUTURE website to make your selections: click HERE. 1. 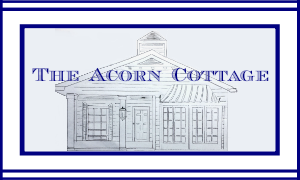 You must still follow Uptown Acorn through Google Friend Connect, Linky Followers, Google +, or bloglovin’. I encourage you to follow Uptown Acorn through instagram, twitter, or pinterest for an additional chance to win. 2. 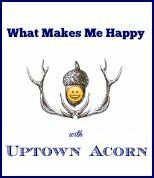 You must “like” Uptown Acorn on facebook. Go to Rafflecopter box below! 3. You must “like” NOLA Couture on facebook and leave a comment telling them I sent you. I also encourage you to follow NOLA Couture on pinterest and twitter. Go to Rafflecopter box below! 4. Leave a comment on this blog post. Go to Rafflecopter box below! Tell me who would don or use one of the winning objects. You can also tell me what is your favorite item/pattern. 5. You may enter by leaving a comment on this original blog post ONCE daily. If you are not a blogger, please leave your email address also. If you do not use facebook, instagram, or twitter, simply leave a comment indicating that, and you will be entered. The give away period starts NOW and will end Thursday, June 12 at 7:00 AM central time. The contest is open to residents of the continental United States only. a Rafflecopter giveaway TWO to geaux! Last Day for facebook koozie give away! NOLA Couture give away, y’all! The clutch is for me and the bow tie goes to hubby! Oh and everything else will be gifted or loved here at home. How awesome, Ron! I'll take the clutch; and Hubby can have the rest! 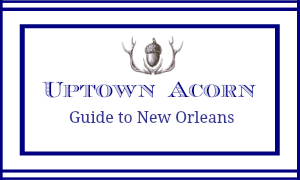 I'm a happy follower of Uptown Acorn and Nola Couture. We love several of the patterns; and.the fleur de lis, the pelican, and the crab are our faves! Wow- What a giveaway. I wanted to visit you FIRST THING so you don't start whining that I haven't been visiting.-LOL I have to come back when I am like WIDE AWAKE to take this all in, m'kay? WHAT a give away though, Ron! Great giveaway with father's day around the corner. I follow you on bloglovin, pinterest, facebook and now instagram. I liked NOLA on facebook too. I love all the patterns but I think I would choose the fun champagne tie for my husband...and my dog Rosie loves the Fleur de lis collar! Thanks Ron! Ok I've signed up with bBloglovin, Linky tools, already signed up with GFC. I've liked Nola Couture on FB and left a comment! I'm following you on Pinterest now too! I don't do twitter or instagram. I've already picked the ice cream cone design for a bowtie for my daughter's boyfriend. I'll have to study the rest to decide! Great giveaway! Now, I usually don't enter give-aways because I am the most unlucky person in the world, but I HAVE to enter this, because I LOVE this store! Even if I don't win, I'm making a bee line for NOLA Couture next time I'm in New Orleans! Everyone in my house would be "wrasslin" over these goodies! Already a follower,- heck, you are on my sidebar so I can get your updates FAST, and I liked NOLA Couture on facebook. Ron: This is just fabulous and with all of the items in the Giveaway, I can share them with so many people (after keeping some for myself of course). I have a nephew who loves bow ties, so perhaps he would get that one and No. 1 son Steven has a pooch, so they would probably get the doggie collar. And as for which pattern I would choose, it's almost IMPOSSIBLE because they are ALL great. I think I'm partial to the Louisiana Map tie and I also love the Snoball tie too. I want to win this one BAD! I've never seen such a valuable giveaway and so very generous. Hey Ron! Not sure it's fair for me to enter after winning the last giveaway. I liked NOLA Couture on FB though because everything is so cute! Hope you are having a good night...it's rainy & cold here...brrr! I would keep the bowtie for myself lol..Recently started wearing them, but don't have any nice ones yet! **OOPS, forgot my email! Somehow skipped over that part about "if you are not a blogger, leave email" lol..sorry! Great boutique!...and great giveaway....Love those ties for my hubby! Hi Ron. What a wonderful giveaway. Now my hubby would wear the ties and visor. Maybe my little grandson the belt and of course Chloe Dawn the dog collar. Back again today, cause I want to win this Giveaway! Know you have big plans for this "first" weekend of your summer. Luv ya! Ron, you really blew it out with this end of school giveaway! I love all the designs, but certainly the oyster one. And of course "Daddy-O" would get most of the items if I were to win, and of course Piper would get the canine items, and I guessboth sons-in-law would have to compete to see who got some of the items too....heehee. Enjoy your 1st day of freedom! Hi again! Thinking about those adorable NOLA Couture patterns today and how cute they'd look on my family! I would give this prize to my lovely husband. He'd look dapper in these items. Hoping for another shot at winning this wonderful giveaway! I'm back! Today my favorite is the second line tie. HAPPY SUMMER RONALD! Great Give Away Ron. Thanks for the chances. I'm back. Is this where I'm supposed to be posting for another chance? Hi Ron, what a great giveaway!!! Please please pick me!!!!! My Hubby and Son would look so dapper in the ties, the clutch would be for me and the collar for our beautiful Chocolate Lab. I love the oyster pattern, the alligator pattern, the crab pattern or should I say I love them all!!! I follow your Blog and follow you on FB. Thanks and Happy Summer. OOPS again! I did NOT see the rafflecopter form last night..SO sorry for all of the comments lol..I must be blind, or either it wasn't there ha..I thought you were just doing the giveaway "old school style"..
loving the skinny tie line! Streetcar one! What an AWESOME giveaway! My daddy would love this! Such great stuff! My sisters golden retriever would look so cute in one of their collars! A Maine coast pic would really rock on their website! I would wear all these items. Love the patterns on the ties the most. LOVE, LOVE, LOVE this giveaway. 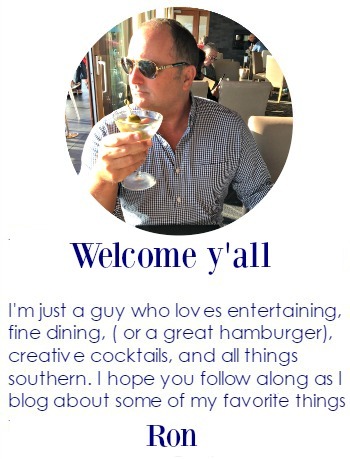 This native New Orleanian follows you on FB and Pinterest. You are my daily dose of "home sweet home" for this ex-NOLA girl now living in the hills of Tennessee. The clutch would be living at my house the rest of the items would be gifted. My fave pattern is the alligator on the pink fabric. Such a difficult decision- they are all gorgeous. Good afternoon from Breaux Bridge, Louisiana. Great giveaway! Need to dress my dad and husband with style and class for Father's Day. Great selection at the Uptown Acorn. Good afternoon from Breaux Bridge, Louisiana! Great selections to choose from. I would love to see my doting dad and handsome husband wearing some of these wonderful pieces for Father's Day. Thanks for the opportunity. Best wishes!! Fantastic gifts! Thanks for this awesome opportunity, Ron. Hi Ron, I'm following your blog and loving it! Sure wish I had fun neighbors like y'all! I don't use facebook (not after being hacked TWICE), instagram, or pinterest. Sounds like I'm still in the stone age, dosen't it! I love this giveaway. Being in Savannah, Ga the coastal/beach theme is perfect. I especially love the pelicans. My college age son would look so handsome in the ties and belts. Thank you! I love this!! I've never won anything. IN. MY. LIFE. This is a fabulous giveaway!! Thanks for the opportunity!! I'm back for another chance for the give away! Hey Ron! I am leaving my daily comment! Thank you! Coming back for my daily entry - and awfully jelly that I didn't get to have crawfish this weekend! My rhyming skills are not so good, but win this giveaway I really should! Love ya! Back for another chance at this awesome giveaway. Thanks! Hoping for a little luck. Would love to tote the clutch and share the rest with the special men in my life. Thanks!!!! Daily comment...I really would freak out if I won this lol..I love the nola couture items! Thanks again for the chance! Back again to enter my name, in this fantastic giveaway game! Love u! Me again. I love love love the toile tablecloth! Is there anything toile that isn't absolutely gorgeous? Putting my name in the hat again for today:) Thank you! I really really wanna win, so I'm back again! 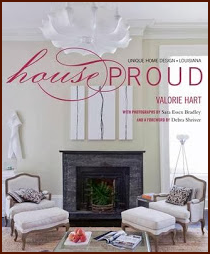 Luv ya and thanks for the chance to win this fabulous Nola Coutoure giveaway! Hey Ron!!! Entering the give-away...I hope I did all the steps right!!! It's me again! lol:) I really appreciate you & nola couture offering the generous giveaway! Good luck to everybody! Back again, and really wanna win! Love you! Love the Pelican tie, boiled crab club belt, louisiana dog collar!!! I love the gulf red fish and the seersucker bow ties for my men!!!! Thanks for the giveaway Ron! Following you on google +! Just coming back and keeping my fingers crossed! Increasing my chances to win, by returning again. Wishing me luck to win this NOLA Coutoure giveaway! Fabulous giveaway Ron! My sweet Miss Tessa would look so spiffy sporting one of the dog collars, and I would look pretty awesome with that wristlet! would love to win! need a father's day gift for my dad who has been sick and in the hospital. he loves fashion and i know this will cheer him up! oops sorry forgot to add that my email address is shopaholicscloset17@gmail.com! great giveaway! Hi Ron! What a wonderful giveaway and so generous! I am so glad I was finally able to reconnect to the internet before with time to spare so I could enter! 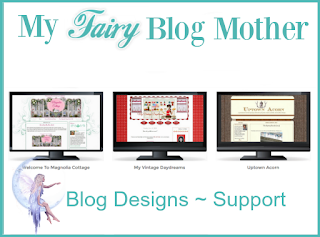 I am a longtime follower of your blog and get your updates via email. I have also been following you on Pinterest, Instagram, Twitter, and FB. I am now following you on BlogLovin' and Google+. Thanks to you I am now following NOLA Couture on FB, too. Thank you for introducing us to NOLA Couture! Stopping by for another daily entry towards the giveaway:) I hope you are having ALOT of fun on your vacation!! Winning this giveaway will be my reward for being such a dedicated "enterer". Luv ya! MAN! You have the best give-aways! I will like them on Facebook and do a little Father's Day shopping! Hi Ron! I hope you had a great 1st day on the beach! Still trying to pick out patterns, but the dog collar would definitely be the "Sea Turtles". My "Belle" would look adorable in it! Just a quick story for why I pick "Sea Turtles": Almost 200 sea turtles return each year to the island that my beach is on in NC and the Cape Lookout National Seashore (about a 45 minute boat ride (or faster ;) ) from my favorite town, Beaufort, NC. I have been going there for 30 years now. Last year I was blessed to see a nest the day it was discovered beginning of the summer and the day it "boiled" in September. My Belle and I would walk by it (and many others) on our nightly walks on the beach and when I missed the last few weeks in August I thought I would surely miss the big event. One night when my husband and I were down celebrating our anniversary, we kept watching because the nest was still there. We were so very fortunate to be out there (with Miss Belle) as it became evident that those baby turtles were going to boil that night. We had so much fun and witness one of life and nature's miracles when we got to see over 120 baby turtles "boiling" out and making their way safely to the ocean. Wishing myself lots of luck in this terrific NOLA Coutoure Giveaway! Also wishing you a great day at the beach. Luv ya. Hope you're enjoying your time at 'la plage'. Have enough fun for the rest of us! And anything by Kenny Chesney is beach worthy! Hi Ron, what a great giveaway. Love all these goodies!! Great Father's Day and more. I am a google follower but not currently on facebook or twitter. I'm going to follow you on Pinterest. Taking my 2nd to last chance today, to win this wonderful give-away. Enjoy your days at the beach. I am so jealous! Taking my 2nd to last chance today, to win this wonderful giveaway. Enjoy your time at the beach. I am soooooooo jealous. I'm back for my last chance!! lol:) thanks again! Happy Wednesday!! Hey Ron! Looks like you are having the most wonderful vacation trip! How wonderful to have some of J. family meet up with y'all! Hope the rest of the week is just as wonderful as the beginning of the trip has been! Once again, thanks again for this generous giveaway and all the opportunities to enter! This is a great give away. I love the bow tie patterns. My email is dy29212@aol.com. I have also just completed another school year and am already at the beach. I would love, love, love these items for my dad, Randy, our dog, and me of course :-) This Sunday is my parents' 50th wedding anniversary, so it is an extra special Father's Day!